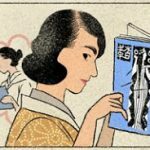 Here is some facts about Dr. Mukai–and more! Dr. Mukai was born on May 6th 1952. When she went to space for the first time, she was 42 years old. 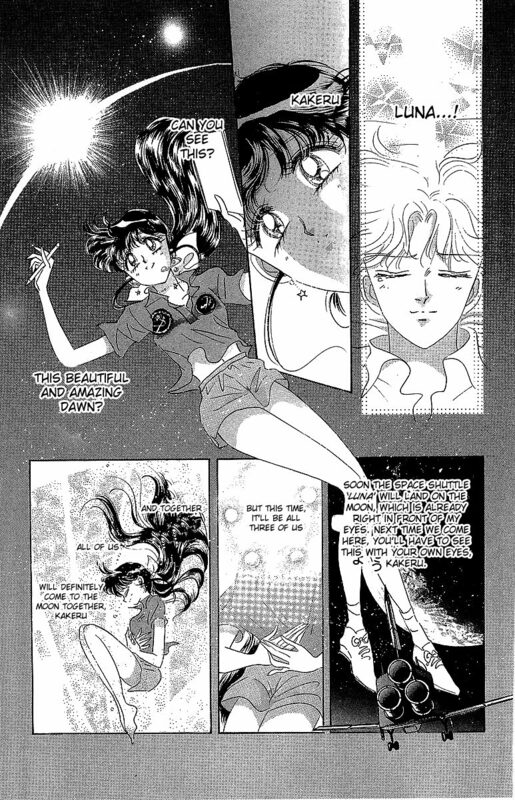 In the manga, Himeko goes to space at the age of 22, making her the youngest person in the world to go to space. In real life, Gherman Titov holds the record for the youngest person in space at the age of 25. Sally Ride still holds the record for the youngest American in space at the age of 32. In 1994, Dr. Mukai spent 14 days, 17 hours and 55 minutes in space. After her second flight in 1998, she had the most time in space of any Japanese astronaut. Himeko aims to be a payload specialist which was the position Dr. Mukai occupied. Payload specialists are selected outside the NASA astronaut selection process and are there to conduct scientific research. Dr. Mukai is a cardiovascular surgeon whereas Sally Ride was a physicist. 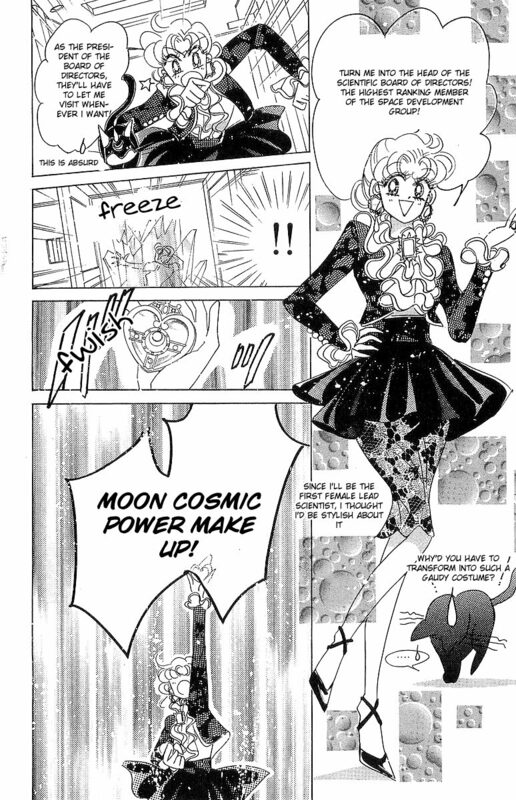 In the manga, Usagi uses her disguise pen to transform into the Minister of Science. 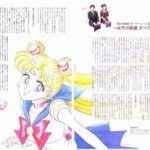 It’s noted that Usagi is the first woman minister at JST. In the manga story, both Himeko and Kakeru are not selected for space flights upon their first application. Himeko declares she won’t give up like Kakeru. This isn’t unheard of in real life–it took American astronaut Clay Anderson 15 tries to become selected. In 1998, Dr. Mukai went to space again, this time with legendary astronaut John Glenn who on this flight became the oldest person in space at the age of 77. Dr. Mukai and Senator Glenn’s goal was to study the effects of space on aging. Dr. Mukai retired March 31st 2015 at the age of 63. As of July 2016, only 61 of the 537 total space travelers have been women. That’s 11%. In Naoko’s notes, she mentions that the wrote Princess Kaguya’s Lover all in one go. She also says that her visit to Kennedy Space Center was also a “data collection trip” so I’m guessing that she wrote/drew most or part of this story after this trip. 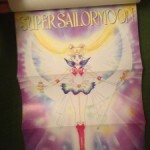 The Sailor Moon S movie was released in Japan on December 4, 1994, just 5 months after this trip. While it sounds like the movie was made with a short turn around time, I’m glad that Naoko was able to infuse the story with a character inspired by a real life Japanese heroine, Dr. Chiaki Mukai. Funny, I was just thinking about the S movie earlier. Luna falling in love with a human was just… weird, and vaguely zoophile-ish, but seen from the perspective of the animal. And it kind of depends on how you see the cats, like they have these humanoid forms when it comes up they’re from planet Mau, but in this story, it seems like Luna becomes a human for the first time just because of a wish from the Senshi… I dunno. Weird. That’s all I can say. 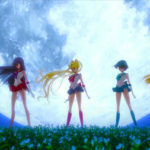 I feel the same about Artemis perving on Minako too. Slightly creepy interspecies love stories aside, the subplot is pretty cool, and Dr. Mukai sounds like an awesome lady, thanks for posting about her. Hopefully we can get more women in space some day. 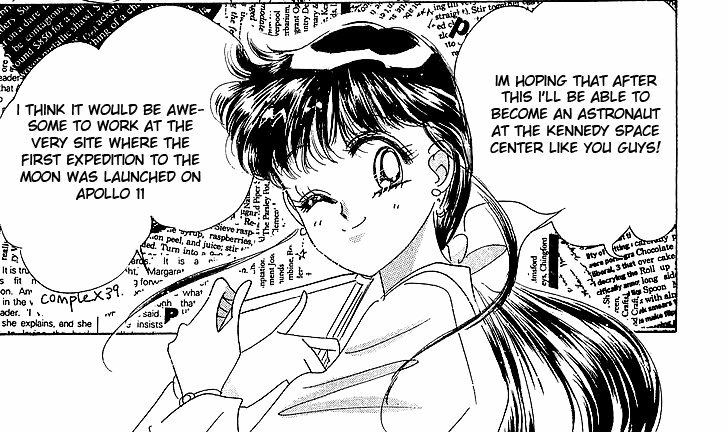 And Usagi was the first female Minister of Science… for about ten seconds. Then she transforms. Kind of pointless, no? My complaint about the manga was that everything moved too fast, the exact opposite of the anime, which was too bogged down with filler. I wish Crystal could have balanced the two, but alas. Yeah, I wish Crystal could have a balance between filler and the face past too. 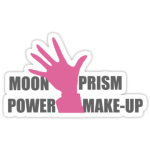 Originally Naoko had Usagi transform into a nurse, but she realized that had been overdone so she changed it. Ah yeah, I remember that, I just wasn’t sure if it was this specific scene or not. Either way, it’s a shame we didn’t see the disguise put to more use. 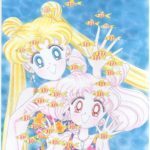 Previous post: Happy 5th Birthday Shojo Power!